Add an even deeper layer of realism to your 1/12 scale model of the YZF-R1M using this detail-up parts set depicting the bike's font fork! Metal and plastic parts are included to replace kit standard parts and provide an ultra-realistic finish to the model. 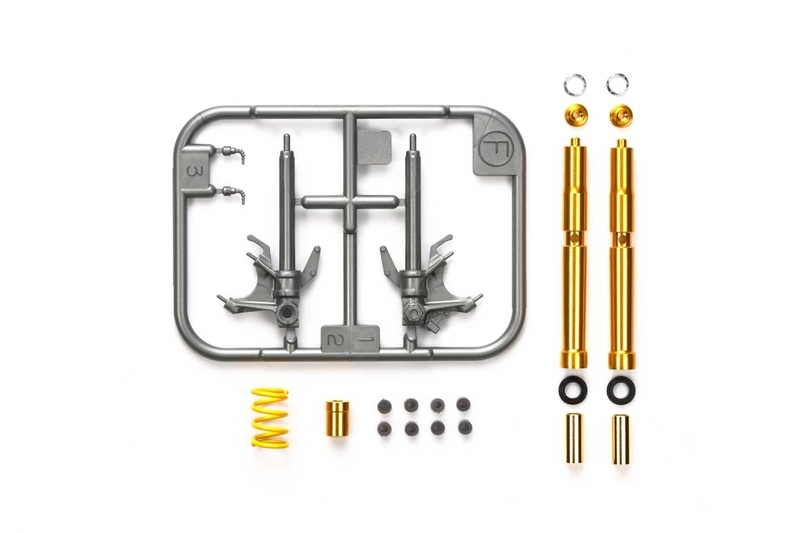 •	The set provides numerous individual parts including inner and outer tubes, plus parts depicting smaller pieces of the fork such as connectors and end caps. •	Dedicated metal parts include reservoir tank, outer tubes, gold color fork tops and more. •	Damper spring is given a realistic yellow painted finish (kit part is black).